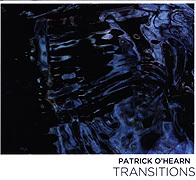 Initially Transitions (44'59") may seem like an anthology of The Very Best of Patrick O'Hearn's Mellow and Somber Works. Not so. This album is nine tracks of new and beautifully original music more towards the Ambient end of the Contemporary Instrumental spectrum. O'Hearn brings a wealth of serious, thought-provoking complexity to these calming and pleasing songs. 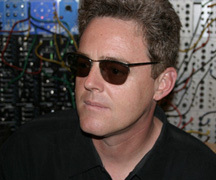 While his trademark luminous synthesizer tones and pads, acoustic guitar, grand piano and bass guitar sound out his musical voice, clarity and simplicity are the dominating philosophy. Animated and warm Transitions moves easily between sonorous soundscapes and drifting twilight realms to an elegant synthetic minimalism and movie soundtrack-like sonnets, all along the gentle arc of O'Hearn's unique artistic vision. In spite of its cerebral atmosphere and nuanced moods, ardent O'Hearn fans will no-doubt find satisfaction in Transitions' more energetic tracks; muscular references to his early releases and those of other Prog-influenced Electronic Musicians. As the mental activity of the listener aligns with O'Hearn's feeling for structure, melody, phrasing and pacing, the need to reference previous works or outside sources falls away - leaving us happily inside a most timeless and elegant music. It is a challenge for someone who has done so much to do something new, but O'Hearn has learned to blend and build on everything he has previously attempted. The inventiveness that the composer of Ancient Dreams and Between Two Worlds brought to those profound early works he also brings to Transitions.